History has revealed that God often sends a new awakening first to college campuses. College campuses are the grounds from which come our next generation leaders and cultural sphere shapers, and the place where their faith falls apart or stands and grows. 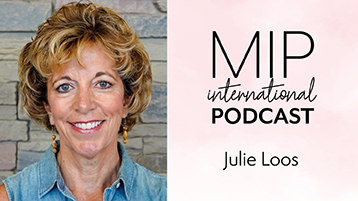 In today’s episode, Lee talks with Moms in Prayer College Groups Liaison, Julie Loos about the importance of praying fervently for our college campuses. They also look forward to National Collegiate Day of Prayer on February 28, 2019. 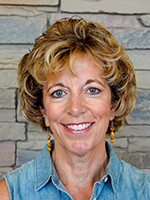 Julie Loos is in her seventeenth year of leadership with Moms in Prayer International. Formerly the Missouri State Coordinator, she currently serves as the national College Groups Liaison, equipping thousands of moms monthly in how to pray strategically for the college campus using her apologetics training and insight. Julie is a writer and speaker. She’s also an activist for stemming the tide of the youth exodus from the faith and worked for five years on the national staff for the campus apologetics ministry Ratio Christi. She is currently the Director of Prayer and Communications for Mama Bear Apologetics and contributed to their book to be released in June 2019–Mama Bear Apologetics: Empowering Your Kids to Challenge Cultural Lies. Ugh! Julie, I hope there is a way to make your monthly college prayer points easier to find on the website. I have to scroll through Facebook or save as a doc each month. Somehow, I missed March and I can’t find anything on the website. I LOVE those things! Keep up the good work! 1) Sign up for my monthly email that includes them–if you are a college group leader you should automatically receive them. Send an email to me at college@momsinprayer.org if you are not. Always check your spam folder and make sure you have your email set up to accept from Moms in Prayer. Save the email in a folder on your computer for easy access each week, or go on and copy and paste the prayer points into prayer sheets when you receive the initial email. 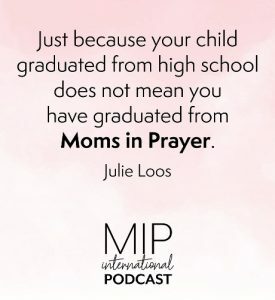 2) Bookmark this page on your computer and you can easily access it monthly: https://momsinprayer.org/get-involved/join-a-group/college-praying-moms/college-praying-moms-newsletter/. 3) Check the college praying moms Facebook page. Maybe I can start pinning it to the page each month so it’s easily accessible as the month goes on. Just don’t forget to visit the page for additional updates on college issues. 4) If you have to access from the main page on the website, this is the quickest path: Get Involved/Specialized Groups/College Praying Moms/Monthly Prayer Points. Hope that helps. We are also posting a map of the USA regions and corresponding states since I referenced that this month. We were not able to provide a link. Hi Betsey, yes, I am very familiar Every Campus as the College Group Liaison, and Moms in Prayer is as well, and we do support this effort. In fact, if you’ve been following our monthly college emails, one of our prayer points each week has to do with the Every Campus initiative–we are supporting it in prayer. I am in direct contact with the leaders of it at Cru and IV, and they send me prayer needs. Prayer walking a campus is encouraged in this initiative by Every Campus. We are okay with that with a few caveats. Some of the suggested things to do during a prayer walk as written in the guide from Every Campus are a little more “visible” than what our Moms in Prayer policies and guidelines would support. So, the key is, if you follow the Every Campus guide, probably best to do it just as an individual, and not necessarily identify yourself as representing Moms in Prayer. If you do for some reason identify yourself with Moms in Prayer (not really sure why you would need to), then please abide by our policies and guidelines as found on the website. As far as advertising it or getting a group together to go pray, again, probably best to do it as an individual. For example, we do not want to draw attention to ourselves, so we would recommend no reading scripture aloud outside of a normal voice and no singing loud. Their prayer guide also recommends talking with people and praying with them on campus and getting their contact info. We would recommend using great discernment in that. You can still pray effectively without this step. One suggestion might be if you make an appointment ahead of time with a campus minister and go pray for them with their permission. You can use http://www.campusministrylink.org to research the ministries on particular campuses and reach out to their leaders. While we certainly want to plow the ground on campus for revival and awakening even through prayer walking, we want to do it in a way that protects the integrity of the ministry. We realize that the college campus is a little different than a K-12 school, but remember, our policies actually state that we pray for campuses and not on them. You would also need to use great discernment about whether you are on a public or private campus. Let me know if I can answer any further questions. Email me at college@momsinprayer.org. What I was wondering is, do you have any advice for me? I hope to go and pray at Virginia campuses with a group of people. Could I advertise this on VA FaceBook or any other way? Hi Betsey, yes, I am very familiar with it as the College Group Liaison, and Moms in Prayer is as well, and we do support the Every Campus initiative. In fact, if you’ve been following our monthly college emails, one of our prayer points each week has to do with the Every Campus initiative–we are supporting it in prayer. I am in direct contact with the leaders of it at Cru and IV, and they send me prayer needs. I am sorry for my delayed response–did not realize there was a comment here. I have a more detailed reply for you but am waiting to get something verified from HQ before I post it here. Please check back soon on the details regarding an actual prayer walk as would apply to a Moms in Prayer mom. Hi Betsey, yes, I am very familiar Every Campus as the College Group Liaison, and Moms in Prayer is as well, and we do support this effort. In fact, if you’ve been following our monthly college emails, one of our prayer points each week has to do with the Every Campus initiative–we are supporting it in prayer. I am in direct contact with the leaders of it at Cru and IV, and they send me prayer needs. Prayer walking a campus is encouraged in this initiative by Every Campus. We are okay with that with a few caveats. Some of the suggested things to do during a prayer walk as written in the guide from Every Campus are a little more “visible” than what our Moms in Prayer policies and guidelines would support. So, the key is, if you follow the Every Campus guide, probably best to do it just as an individual, and not necessarily identify yourself as representing Moms in Prayer. If you do for some reason identify yourself with Moms in Prayer (not really sure why you would need to), then please abide by our policies and guidelines as found on the website. As far as advertising it or getting a group together to go pray, again, probably best to do it as an individual. But if you do it with a partner, don’t make a big show out of it and invite by word of mouth. While we certainly want to plow the ground on campus for revival and awakening even through prayer walking, we want to do it in a way that protects the integrity of the ministry. We realize that the college campus is a little different than a K-12 school, but remember, our policies actually state that we pray for campuses and not on them. You would also need to use great discernment about whether you are on a public or private campus. Let me know if I can answer any further questions. Email me at college!momsinprayer.org.